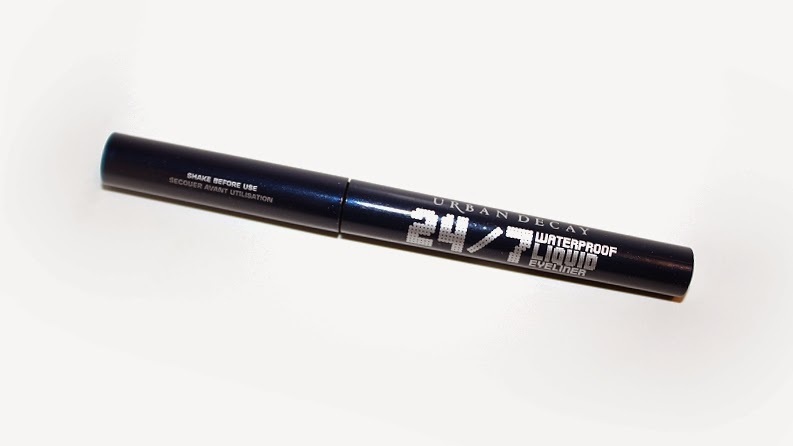 Urban Decay 24/7 Waterproof Liquid Liner (0.058 oz) individually retail for $19 USD ($23 CAD) and is available in 11 different shades. 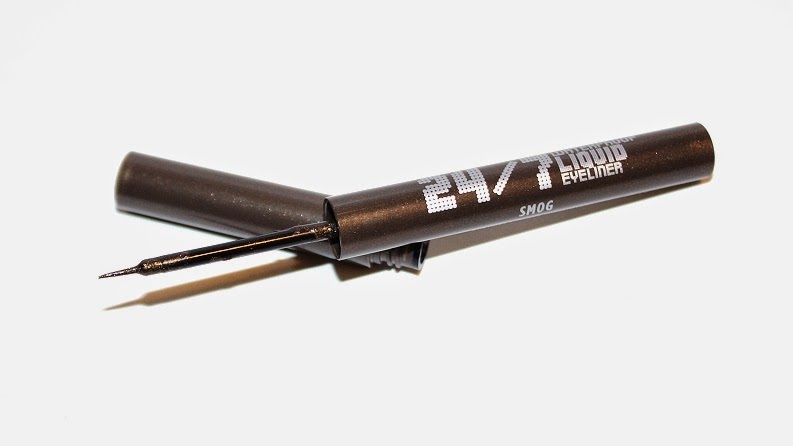 It is said to be "a precision liquid eyeliner." * Perversion is described as a carbon black. 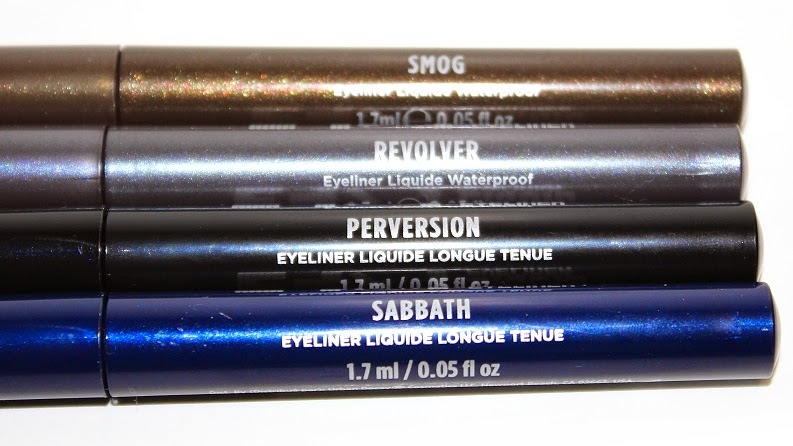 * Sabbath is described as a deep matte navy. * Revolver is described as a dark grey with iridescent sparkle. * Smog is described as a deep brown with golden shimmer & iridescent sparkle. "This eyeliner lets you draw waterproof liquid lines so sharp they could cut glass. Urban Decay's slender brush lays down long-lasting matte, slick, and shimmery shades sure to satisfy your color lust. Available in a veritable rainbow of long-lasting, highly-pigmented color options, these shades can be applied in thick or thin strokes with an ultra-fine brush tip that's short and easy enough to control. The slim pens are conveniently color-matched to each shade." 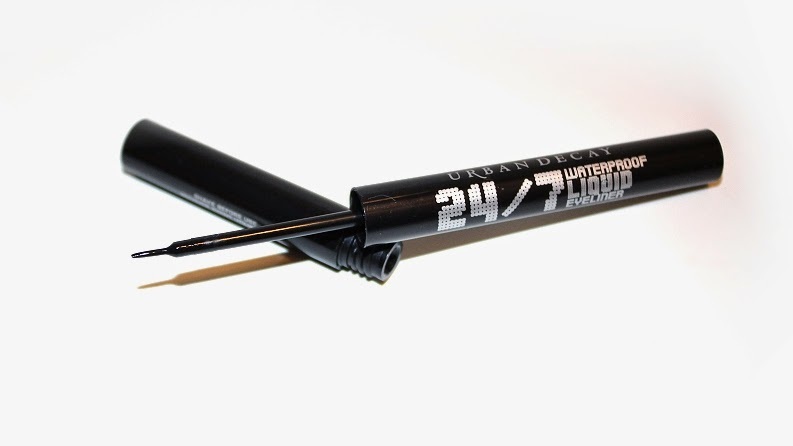 The packaging is a slim tube with two sections, the longer half being the applicator and the smaller half containing the product. 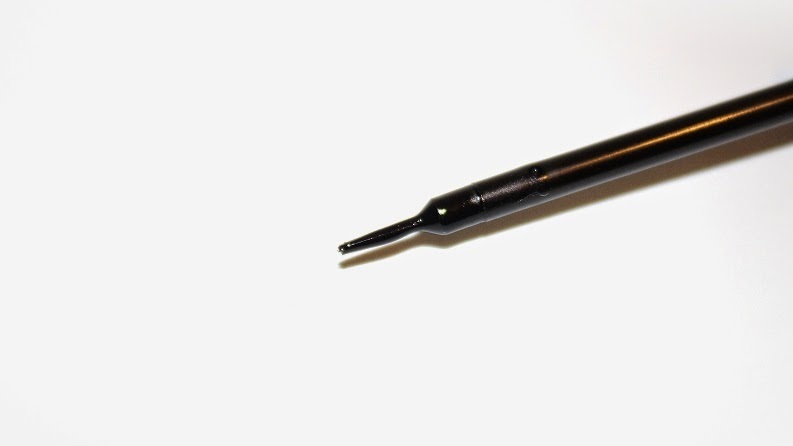 The applicator is light weight and fits comfortable in the hand. 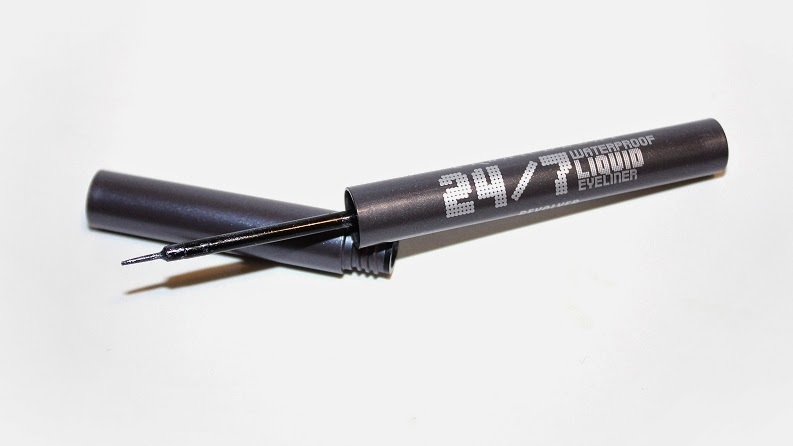 The brush is a thin, flexible, narrow brush as opposed to a standard tapered stiff brush. The brush allows total control when applying – you can achieve a very thin, precise line or apply pressure and get a thicker, bolder line. Shake before use! As the label says, these liners do need to be shaken before application otherwise the formula becomes thinner, watery and less pigmented. 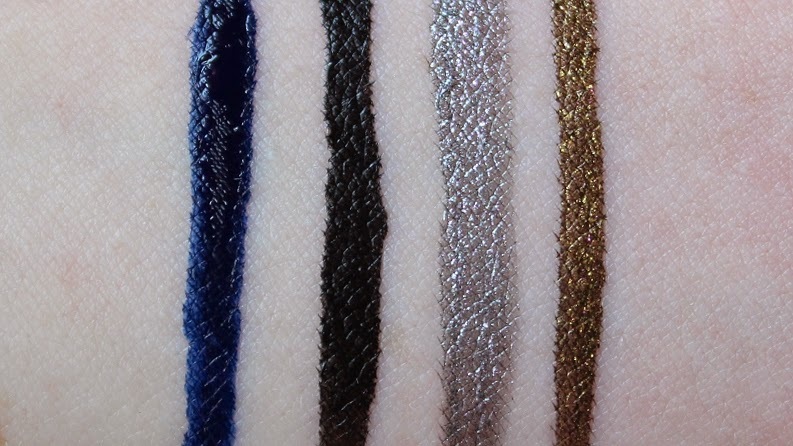 After a quick shake, I'd say a good 5 seconds, they're pigmented, glide-on easily and are a nice consistency. They are waterproof for the most part, obviously if you were to rub and/or apply enough pressure under warm water they would eventually budge, but initial humidity doesn't cause them to bleed or fade. All four shades I currently own are long lasting, they wear around +10 hours before showing slight cracking or wear. On the odd occasion I've fallen asleep wearing these liners (oops!) they are slightly patchy and worn come morning. The liners are very easy to remove with makeup remover or a makeup wipe. The way they remove is very interesting, almost like they peel off! 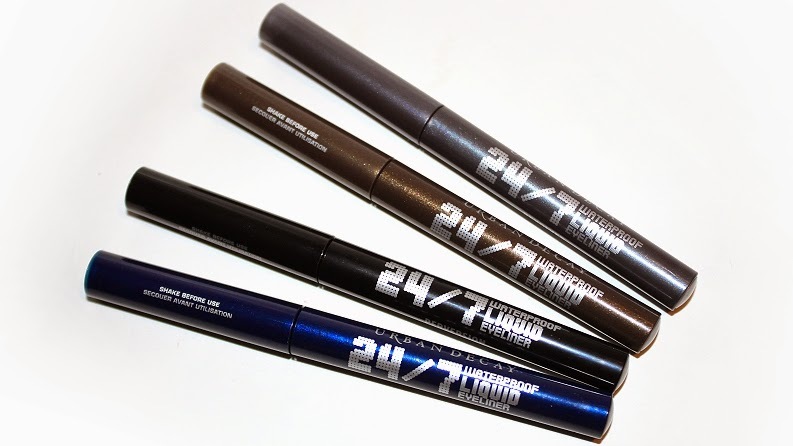 Overall, these are my first choice when I reach for a liquid liner. 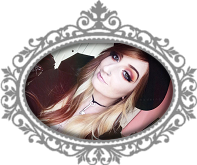 Perversion is one of the truest, deepest blacks I've found and with the real brush applicator, I find doing winged liner is easier, faster and more fool-proof to achieve! 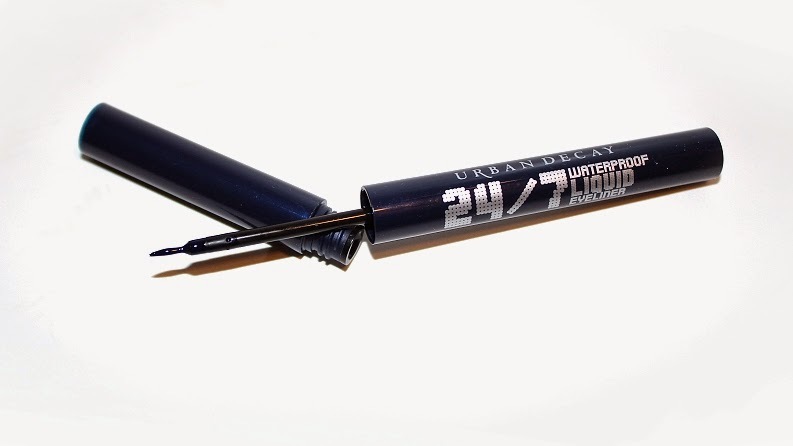 I recommend the Urban Decay 24/7 Waterproof Liquid Liners!